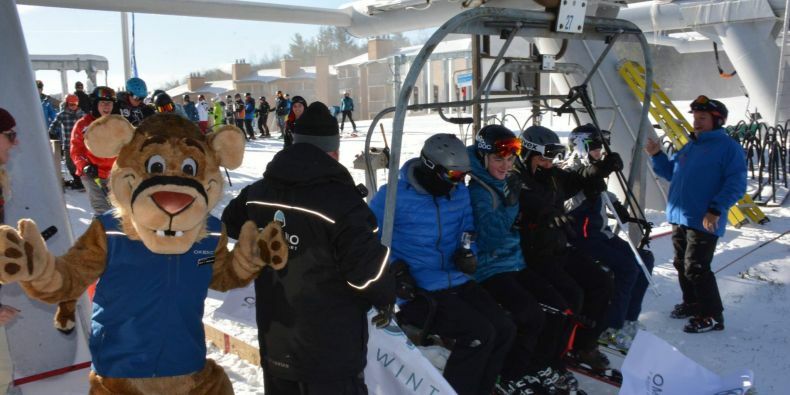 Skiers and snowboarders enjoy first chair on opening day at Okemo Mountain Resort on November 11. 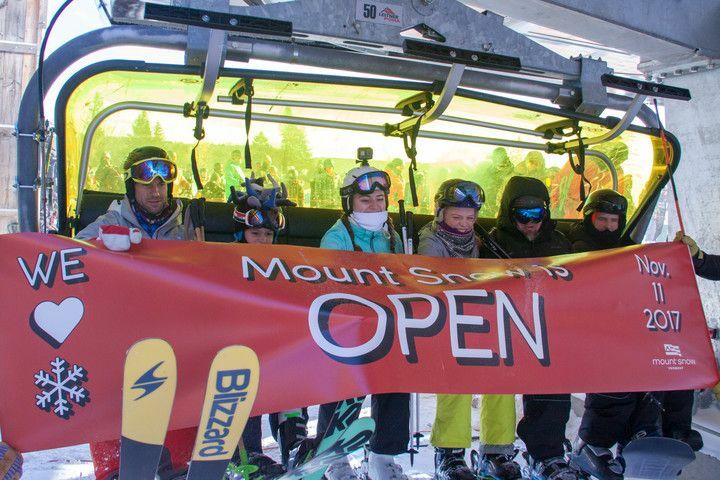 Mount Snow Resort opened on November 11 with the most open terrain on the East Coast. When Mother Nature hands out cold weather, Vermonters make snow with it, and November’s chilly temperatures coupled with the Green Mountain State’s world class snowmaking power allowed for Vermont’s resorts to open early and open strong for the 2017-18 season. Thanksgiving in Vermont will once again go down in history as the world’s fastest female ski racers prepare for their return to Killington Resort for the Audi FIS Ski World Cup. 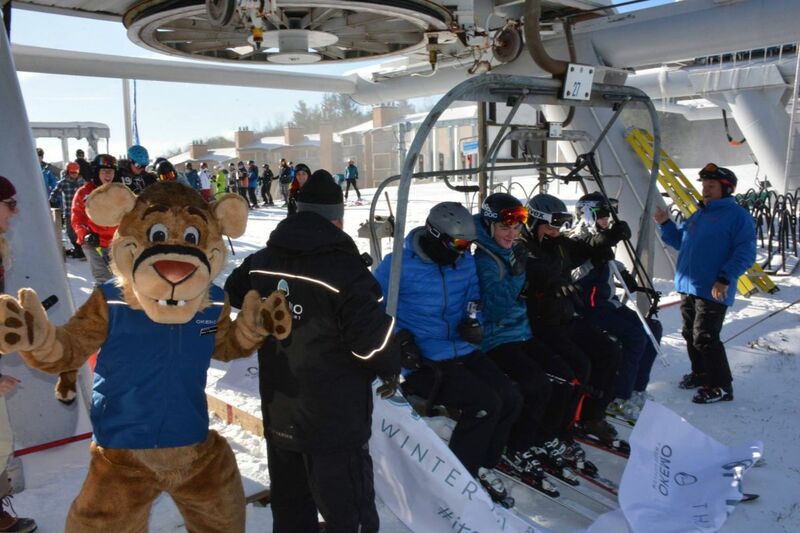 Last year, a record breaking 30,000 fans descended upon the Killington Village as Vermonters and visitors alike cheered in unison for the event’s return to the East Coast and Vermont. “When it comes to snowmaking and grooming, we have some of the best team members and tools in the industry to prepare Killington for the winter season and World Cup on Thanksgiving weekend,” said Mike Solimano, President and General Manager of Killington Resort. The free event will take place Thanksgiving weekend, November 24-26. As one season ends, another begins, and Vermont’s resorts spend each season bettering themselves for the next. New this season, snowmaking upgrades have been made across the state. Investments like Mount Snow Resort’s $30 million-dollar West Lake Water Project, Bolton Valley’s expanded line of guns and hoses, Burke Mountain’s installation of 13,400 feet. of new snowmaking pipe, and Stratton Mountain Resort’s switch to electric compressors, which resulted in a 40% decrease in diesel use, all continue to prove that Vermont’s resorts truly are at the forefront of sustainable and efficient resort practices. While the snowmaking upgrades get skiers and snowboarders on the slopes faster, new RFID gates at Sugarbush Resort and Smugglers’ Notch Resort will get visitors out of the lift line and back on the hill quicker than before. 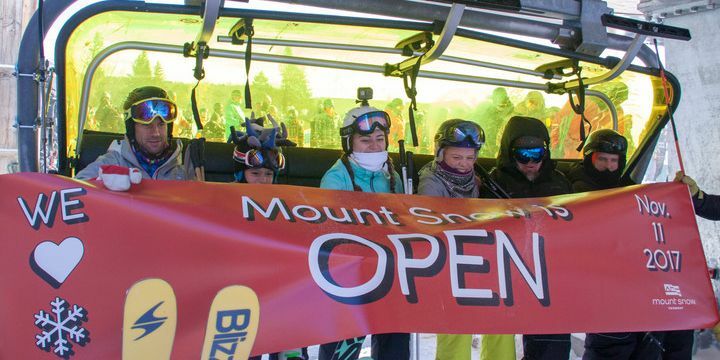 Magic Mountain’s two new lifts, the 170’ Magic Carpet and the base to mid mountain, Green Chair Lift, will open up novice and intermediate terrain to skiers and snowboarders, allowing for a better learning experience and more time spent going down the hill rather than up. Off slope renovations at resorts span from the family friendly Adventure Center at Stowe Mountain Resort, to the Fun Zone 2.0 at Smugglers’ Notch Resort and Jay Peak Resort’s new Clip and Reel indoor movie theater and rock wall facility. Skiers and riders can après at Suicide Six Ski Area in Perley’s Pourhouse bar with their new 6-tap system or relax on Bromley Mountain Resort’s completely refurbished sun deck, complete with cozy fire pits.